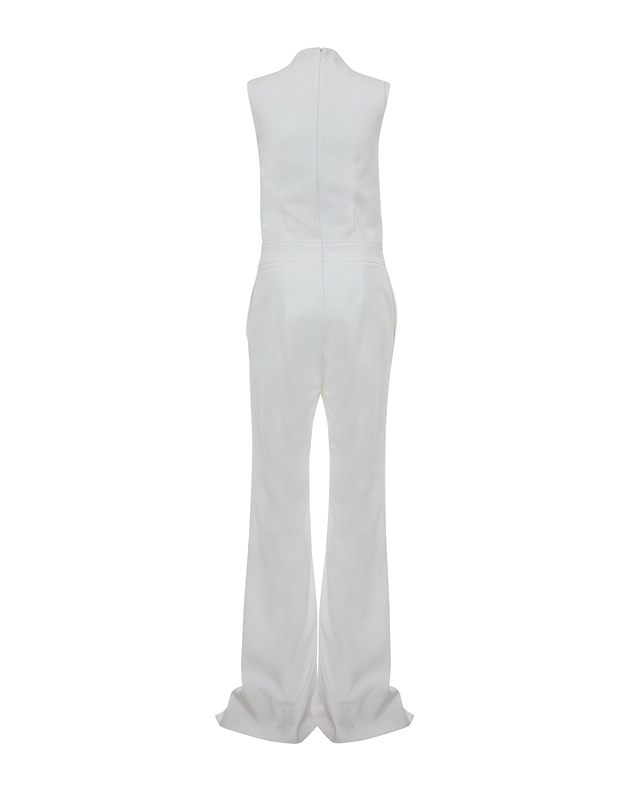 A simple and clean style, the crêpe jumpsuit is characterized by a snug fit which perfectly hugs the shape of anyone who wears it. 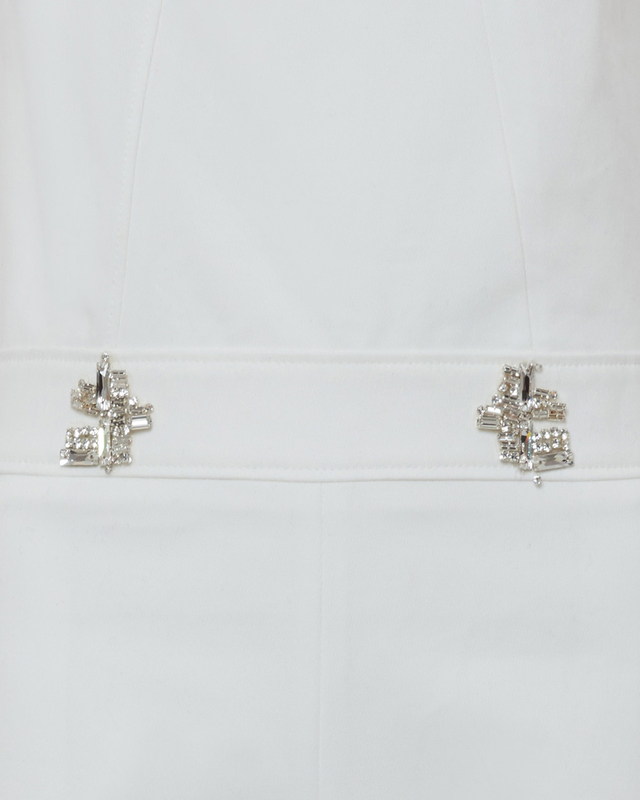 In a shiny shade of white, the jumpsuit is enriched with jewel appliqués which give it a precious touch. 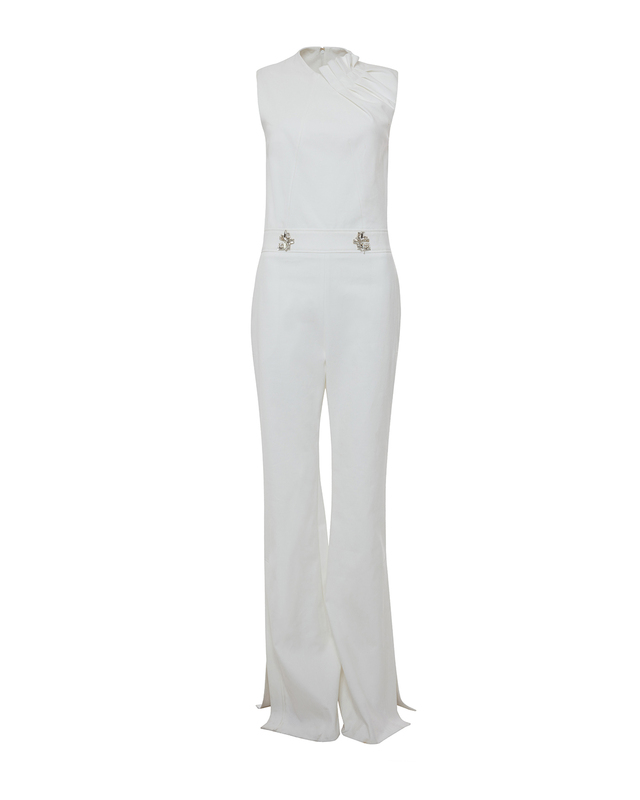 The jumpsuit is the perfect evening attire paired with gold pumps.